Quite some time ago (2 years!) 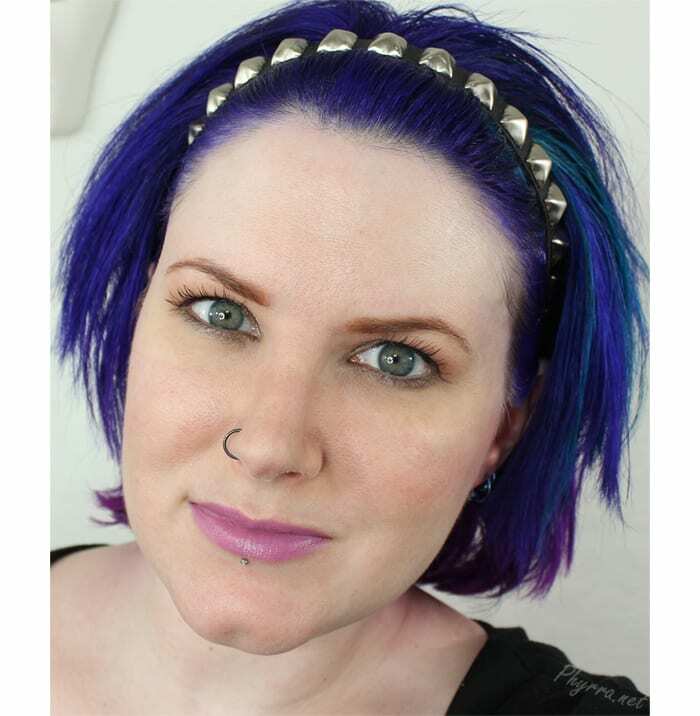 the Makeup Wars bloggers did a $20 face. This time around we’re doing a $30 face, so today I bring you my $30 Cruelty Free Face. It was a lot harder this time around than I thought it would be! I really needed a face primer but didn’t have that left over in my budget. 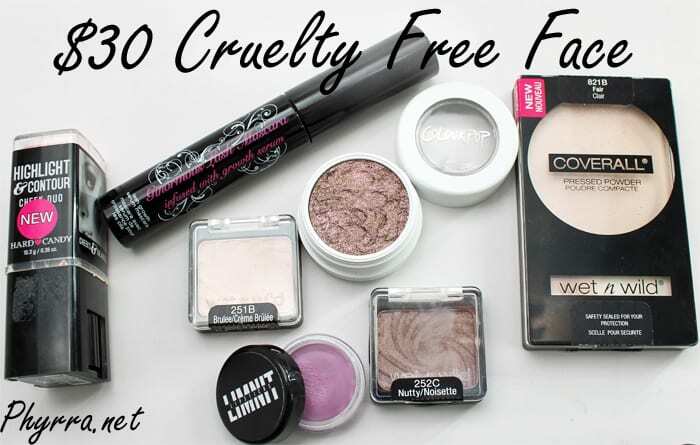 You can find some great quality cruelty free brands at the drugstore. Wet n’ Wild, Hard Candy, Jesse’s Girl and Nyx all have some nice products. Since people always ask, above are some cruelty free drugstore makeup brands. I’d love to be able to add Milani to that list, but I’m still troubled by what happened with them earlier this year. Milani told me that they’ll be getting Leaping Bunny certification and when that happens I’ll feel comfortable supporting them again. Of course, you can also reach for indie! You can use makeup samples, which are typically $1 to $2 from most indie brands. Some indie companies sell mini jars, usually for $2.50 or more. I think you’ll find more complex eyeshadows and lipsticks within the indie realm. I chose to wear Limnit Lipstick in Castle in the Sky, which is a pinky purple lipstick. To do my eyes, I applied the Fergie eyeshadow primer. Then I applied Brulee as a base shade. I tapped So Quiche onto my lid and lower lid. I blended Nutty into my crease. I applied the Hard Candy Ginormous Lash Mascara, which was underwhelming. I did use Nutty eyeshadow to fill in my brows. It doesn’t look great on me but I think it could work for people lighter hair than mine in a pinch. As I mentioned above, I really needed a face primer. Since I had applied my Mirvaso medication earlier, the Wet n’ Wild powder foundation didn’t want to apply right, especially without a primer. I have a difficult time wearing most powder foundations these days. I tried to apply the powder to my chin, nose, under the eyes, and forehead. I know I’ve seen some positive reviews of this powder, so I expected more from it, but it really didn’t work well for me. A note on my medication, today was one of those days that the Mirvaso didn’t completely remove the red from my face. My nose, cheeks and chin were still red. Sigh. I hate my rosacea. The Hard Candy Highlight and Contour in Cheeky went on patchy, too. If I were doing this look over, I would have skipped that and gone for a Hard Candy baked blush. I tried dabbing the HAC on with my finger tips, as well as directly from the stick onto my face but it just was a blotchy mess for me. My Hard Candy baked blushes, in the past, have applied easily and not been patchy at all. The Hard Candy Ginormous Lash Mascara did not live up to its name. I feel like my lashes were pretty pathetic. They would have been better if I had used a mascara primer. e.l.f. makes a $3 mascara primer that’s nice, but I didn’t have room left in my budget for it, so I had to kip it. Overall, I disliked the Wet n’ Wild Coverall powder and Hard Candy Ginormous Lash Mascara. I hated the Hard Candy Highlight and Contour, but I’ll give it another try to see if it works better for me on primer. I just feel like it looked so splotchy! The Wet n’ Wild Fergie Eyeshadow Primer was nice. While I can’t see it replacing my beloved TFSI, it’s a great budget friendly option. I love the Wet n’ Wild Eyeshadow singles. I have 3 – Nutty (taupe), Brulee (creamy vanilla matte) and Panther (black matte). They’re great staple, workhorse shades. It’s hard to beat their price at under $1 each. I love the Colour Pop eyeshadow in So Quiche. It’s described as a soft olive with a highly reflective gold and pink violet glittery duo chrome metallic finish. I definitely see pink-violet in the gorgeous olive base. I love this unusual shade! This is definitely a gem of a shade! I love Limnit Lipstick in Castle in the Sky. It’s described as a slightly-cool pinky purple. It’s also vegan. I found it very wearable. I definitely feel like Colour Pop So Quiche, Limnit Lipstick Castle in the Sky, and Wet n’ Wild Nutty and Brulee were the best part of my look. If you only decide to check out a few brands, those would be the 3 that I’d recommend. What do you think of my $30 Cruelty Free Face? How would you spend $30 for a makeup look? I almost bought single wet n wild shadows for mine and wish now that I had! Those Wet n Wild Eyeshadow Singles are great; I have one in Penny and it’s gorgeous and a great formula. I need to buy some more. Loving that lippie too; so pretty! I’m addicted to the Wet n Wild Megalast Lipsticks right now. I love that lip color on you! I didn’t even think about Pacifica. When on sale you can get some pretty things for them at an affordable price. NYX HD Concealer Wand in Porcelain $5 – under eye area, any areas in need (nose, etc.). Wet n Wild Pressed Coverall Powder in Fair $2.99 – dabb onto face with included sponge. Wet n Wild Color Icon Powder Blush in Heather Silk $2.99 – apply lightly to the cheeks. NYX Powder Blush in Taupe $5 – contour. e.l.f. Essential Beauty Book Eye Set in Natural $5 – highlight using lightest eyeshadow shade (a soft light beige with a hint of pink & a delicate sheen finish); apply lightly to tops of cheeks, apply to the cupid’s bow & inner corners of the eyes. e.l.f. Essential Beauty Book Eye Set in Natural $5 – apply included primer to eyes. e.l.f. Essential Beauty Book Eye Set in Natural $5 – fill in eyebrows with the matte & satin shades, use included black pencil for additional definition to tail. e.l.f. 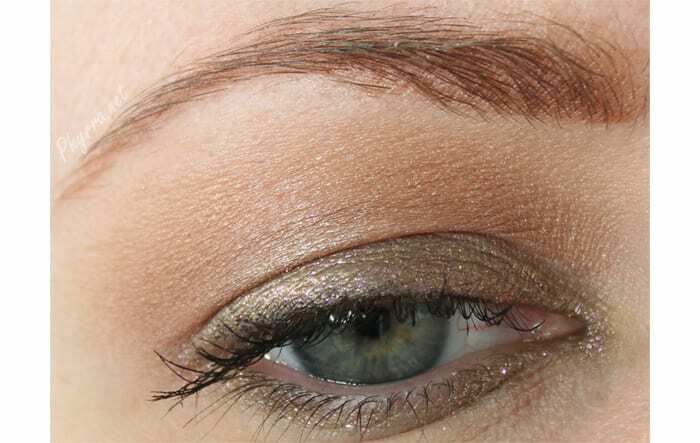 Essential Beauty Book Eye Set in Natural $5 – create a neutral eye look with the 6 shadows included in the set. Wet n Wild On Edge Long Wearing Eye Pencil in Midnight Girl $3.49 – line eyes creating a cat eye look on the upper lash line. Wet n Wild Mega Last Lipstick in Red Velvet $1.99 – apply this beautiful red matte to the lips. I love what you did. I really need this lipstick . I’m pretty happy with the ELF bronzer blush duo I think it would have worker better for you. It’s powdery but very pigmented . I only have one wet n’ wild single purple eyeshadow which I got from a beauty box. i haven’t used it much since I usually use my toofaced glitter all the way pallet and my indie mini jars. I wasn’t happy with everything I used either, but on I did find some awesome products I hadn’t used before too! BTW, you look so good in purple toned lippies! I really like that lip! I like that lippie on you! I’m loving the soft yet almost bold lip! Perfect for folks who want to sneak in a little something fun in a really conservative work place. Really pretty every day look! Face Primer, Eyeshadow Primer, 3 in 1 Mascara, Liquid Liner, Brow Kit, and their make-up setting spray. Have you tried Nuance by Selma Hayek? They are sold at CVS and they claim to be Cruelty free. I am so obsessed with your look! I love the lip and the eye so much! This looks so pretty on you!!! I love when you do softer colors – love this look on you!